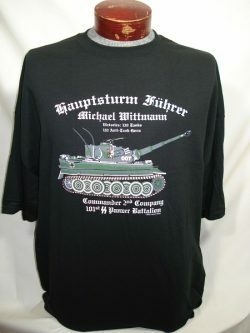 The Michael Wittmann Tiger Tank 007 is a two sided print in black. 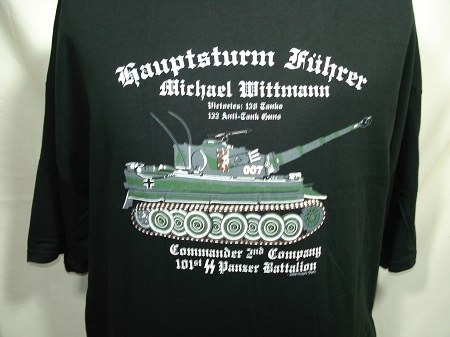 Front Design: Side view of Wittmann's Tiger I with text. 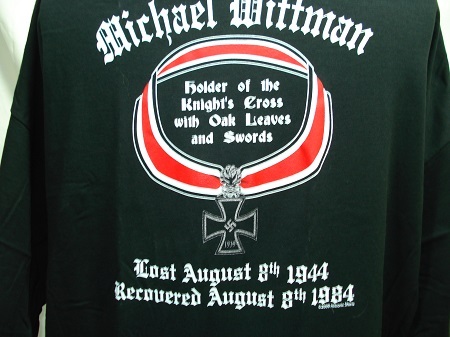 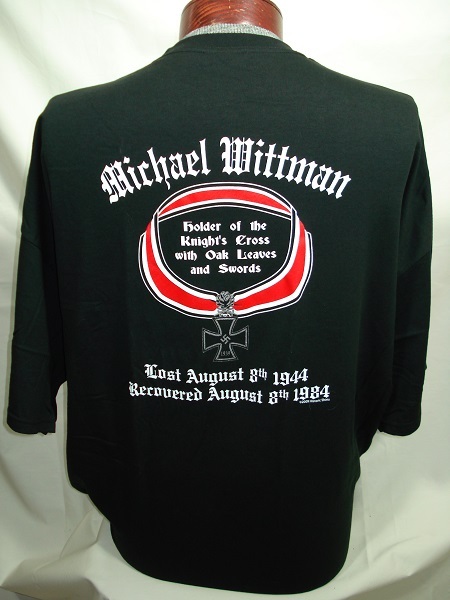 Back design: Wittmann's Knights Cross with oak leaves, and swords.